Lucy is itching to cop first prize for the "Best-looking Garden" in Westport, Connecticut, and spends every waking moment tending to her beautiful patch of tulips. She is determined to dethrone Betty Ramsey, who has won the coveted Garden Club award three years in a row. Much to her dismay, Ricky has mowed only half the lawn before taking off for a Yankee ball game. This means she must complete the job if her garden is to look just right. Seating herself on the bulky machine, Lucy takes off and is unable to stop. After upsetting downtown Westport, she manages somehow to mow down Betty Ramsey's tulip beds. 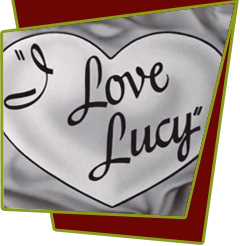 Lucy: "I feel just rotten about it." Ethel: "Well, you could give her your tulips." Lucy: "Ethel, I feel rotten, but not that rotten!" Lucy replaces the mowed-down flowers with wax tulips she bought at the Village Gift Shop. When the Garden Club judges disqualify Betty's fake flowers, they proceed next door to evaluate Lucy's collection. It seems that Lucy's tulips are wax too, the result of Ricky's mowing the lawn in the dark, and they're slowly melting in the warm New England sun. Special Notes: When Lucy and Ethel threaten Ricky and Fred to mow the lawn it is learned that the men's full names are Enrique Alberto Ricardo y de Acha III and Frederick Hobart Edie Mertz I. Ricky's name borrows from Desi Arnaz's real name Desiderio Alberto Arnaz y de Acha III. This is Mary Jane Croft's final episode as Betty Ramsey.